KCTC Hosts KC Marathon Water Stop- Volunteer Now! 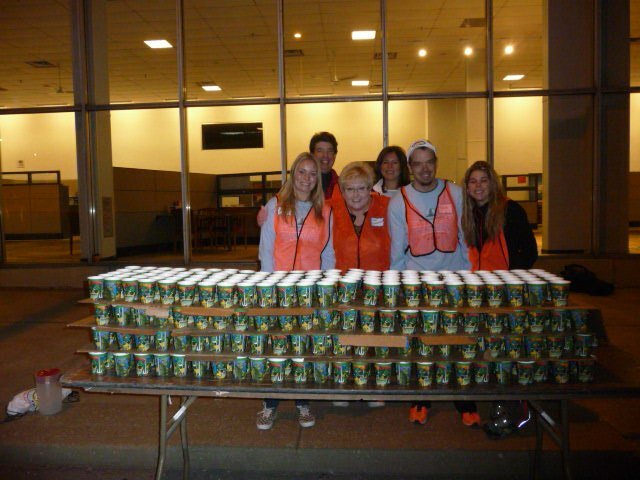 KCTC NEEDS VOLUNTEERS FOR KC MARATHON WATER STOP Sat. Oct 19th. This is a fun activity so bring your family, friends and co-workers!! Location: 3129 Main, Contract Furnishings. Parking: Park behind the store or on a side street. Free Shirt: All volunteers receive a long sleeve race shirt, a short sleeve KCTC race shirt and a surprise gift. There will also be donuts and coffee. Persons willing to volunteer should go to https://www.eventunited.com/Events/Kansas-City-Sport-Commission/Waddell-and-Reed-Kansas-City-Marathon-Aid-Stations-2013/Register/Volunteering. Online registration ensures you will receive a race shirt. All of the water stops are listed on the registration site so be sure to sign up for the second stop. We need 50 volunteers. For questions: Dave Boone, davidhboone@aol.com, 913-669-9235.